Event Description : FICCI Ladies Organisation Members to interact with Ad Guru Prahlad Kakkar and One Line Punch Guru Bharat Dhabolkar. The members of FICCI ladies Organisation (FLO) the women business wing of apex business body FICCI will be interacting with advertisement guru Prahlad Kakkar and One line punch guru known more Amul butter punchlines in a session titled 'Advertising is the most fun you can have with your clothes. As a part of its activities, FLO brings together achievers from various arenas for interactive sessions on innovating change to achieve success. 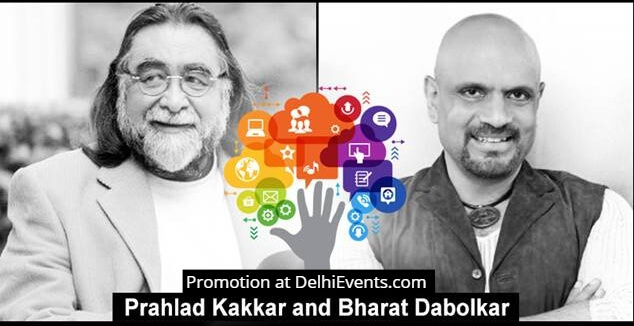 Prahlad Kakkar & Bharat Dabolkar are not only inspirational leaders and role models for the advertisement industry but also for youth in general. "One line Punch Guru Mr Bharat Dabolkar is the man behind the “Utter Butterly delicious” Amul butter ads. A maverick adman and the undisputed king of satire, he has dabbled and excelled in advertising, television and theatre. Both Prahlad and Bharat have the Bollywood connection as they have acted in Bollywood films. "said Ms Reddy. “Both Prahlad and Bharat and exemplary leaders in their own creative domain. They have been successfully harnessing their innate creative abilities and converting them to strategized creative outputs. It was highly fascinating to hear from them about their journey, to learn about their challenges and understand about their creative pursuits. The right perspective and the precise skills for an effective brand positioning was the key takeaway from the event,” Ms Reddy added.